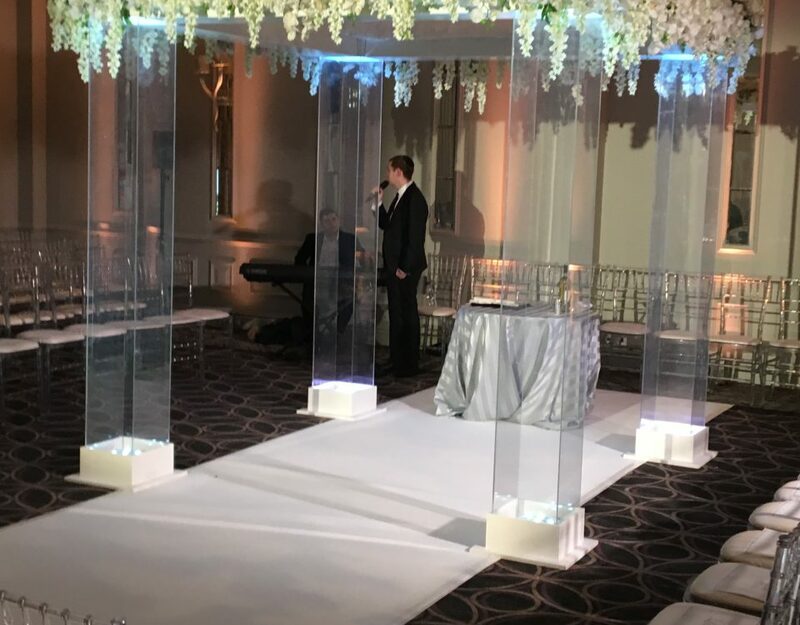 We recently supplied our Perspex chuppah at The Savoy. A very large pelmet of flowers was added together with some illuminated glass globes suspended inside the legs of the chuppah. 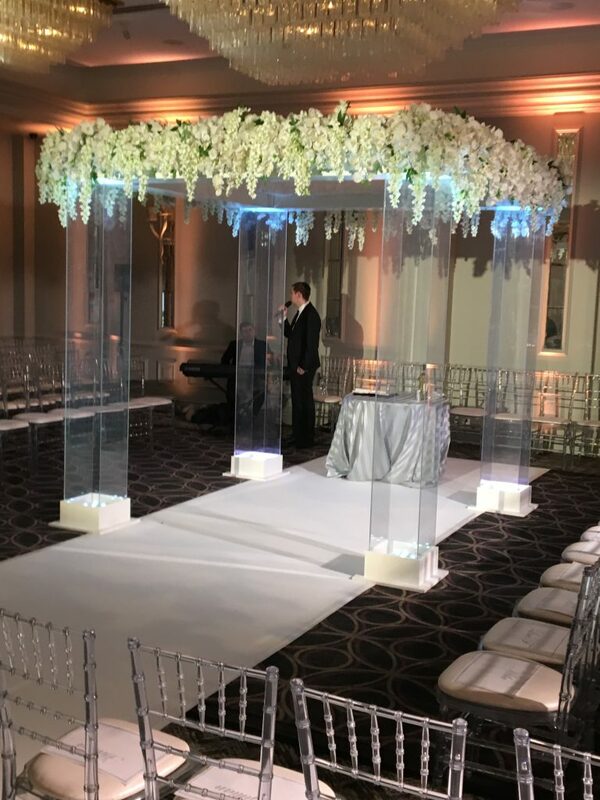 The chuppah was mounted onto a white carpeted stage and a tight pleated backdrop in white fabric completed the stunning look.